Norwegian archfiends BEASTCRAFT raise their final chalice with the group&apos;s swansong record "The Infernal Gospels Of Primitive Devil Worship", an eternal mark of infamy in the history of Norwegian Black Metal! With surviving BEASTCRAFT co-founder Sorath Northgrove at the helm and as an utmost honor and glorification in the BEASTCRAFT legacy, an exclusive and limited edition in A5 Digibook format including a DVD of desecrating live rituals, interview features and rehearsal sessions will be presented in all its iconoclastic glory. 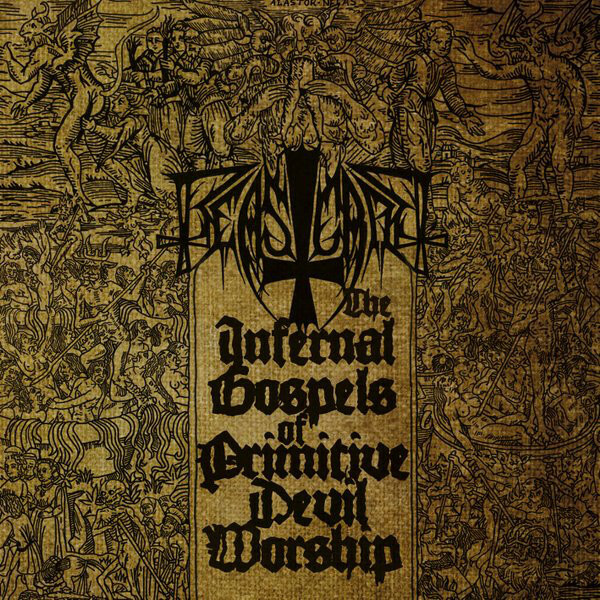 Salvaged and reanimated from lost demo sessions, "The Infernal Gospels Of Primitive Devil Worship" features probably one of the last few musical compositions and recordings by the late Urgehal frontman Throndr Nefas, who is undoubtedly an integral part of the Beastcraftian Black Metal sound. LP version available in both limitations of 300 copies on Black vinyl and an exclusive 200 copies on Transparent Red vinyl.